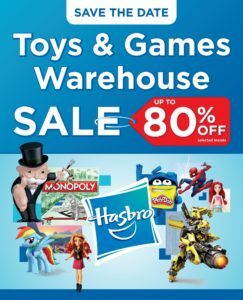 The Hasbro toys & games warehouse sale is on. Find your most loved brands at discounted prices that will make your head spiiin! 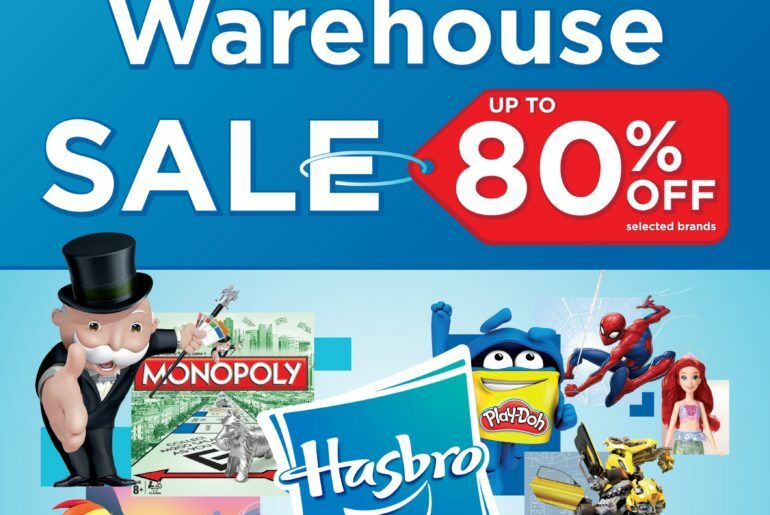 Whether you’re planning in advance for Christmas present shopping, want to stock up on birthday goodies or get something fun for the holidays, the Hasbro Warehouse sale will provide you with all the best toys at a FRACTION of the prices, we’re talking up to 80% off! Look out for My Little Pony, Play-Doh, Hasbro Games, Transformers, Nerf, Avengers, Star Wars, Disney Princess & Frozen and so much more. Entry fee: St Stithians Sports Festival is R40 entrance, per day. *Cash, Visa and Mastercards accepted. No cheques, AMEX or Diners Club cards. For more information follow the Hasbro Facebook Events page!